Last updated 25 September 2017 . By Katie Houghton. Smashburger has come a long way since being born in Denver over 10 years ago. Now opening their 5th UK branch in the heart of Scotland, they're coming to Glasgow and bringing with them their infamous patties, veggie burgers, rosemary fries, craft beers and smashed meat technique. 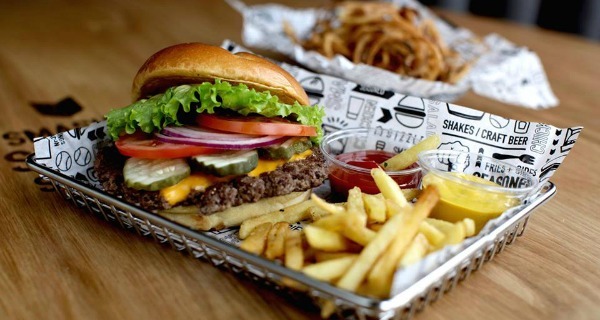 Glasgow is killing it in the burger department, with restaurants left, right and centre, so how will Smashburger stand out? Bringing to the city inspiration sourced from New York's meatpacking district, not only could their American heritage stand them in good stead, their drink offering and smashed beef method could open up a whole new patty portal.